Has your horse been tired or lethargic lately? They may just need an energy boost! In the past decade or so, energy shot gels have been growing in popularity for their ability to support the production of energy in the body. 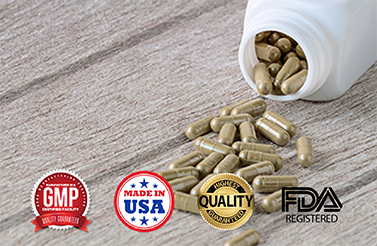 At BioThrive Sciences, we are the leading manufacturer of private label pet supplements. We proudly manufacture energy shot gels for horses in an apple flavor. Along with private label manufacturing, we offer custom label printing, packaging, and domestic and international drop shipping for your convenience. What is a Horse Energy Shot Gel? Whether your customers own a thoroughbred or working horse, their animal’s health is a major concern. Just like us, horses have different energy levels and require different levels of care, as they move through their different stages of life. Energy shots for horses provide a mix of amino acids, essential nutrients and vitamins, to deliver a boost of energy, so they can have a more productive workout or place as high as possible in a competitive situation. Energy shots for horses provides many benefits, especially for race horses. It’s ideal for helping to maintain energy levels during competition or for horses and ponies that need an extra boost after hard work or travelling. Along with improving energy and stamina levels, horse energy shot gels also provide essential nutrients for supporting physical and mental performance. If you are looking for energy shot gels for horses, or need assistance in creating the perfect custom pet supplement formula, our team at BioThrive Sciences can help. We’ll assist you in creating a powerful pre-event energy formula that helps horses get the boost they need to finish the event strong. Along with providing a quick turnaround, we also provide competitive rates, custom formulations, and a strong commitment to customer service. We will work with you and your business to create the perfect horse energy shot gel manufacturing experience every step of the way. Contact us at 844-263-3657 or fill out our convenient online form. We look forward to working with you!